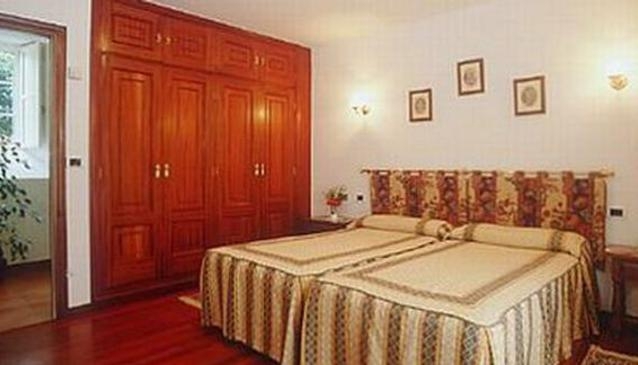 Pazo Xan Xordo Hotel Santiago de Compostela is situated in a quite area of the city. Guests will find that this hotel offers easy access to the St James Way pilgrimage route as well as many attractions and a golf course can all be found nearby. The Pazo Xan Xordo Hotel Santiago de Compostela is located only a few minutes away from the Santiago de Compostela International Airport. The airport can be easily reached via public bus or rental car. Public transit also offers easy access to attractions. All of the guestrooms at the Pazo Xan Xordo Hotel Santiago de Compostela are climate controlled. Each room offers complimentary wireless Internet access as well as cable television and minibars. All rooms are nonsmoking and offer private bathrooms with bathtubs. Guests of the Pazo Xan Xordo Hotel Santiago de Compostela will find numerous shops and restaurants in the area. The hotel offers an onsite golf course as well as a garden. Other hotel amenities include laundry service, bike rentals and a business centre.